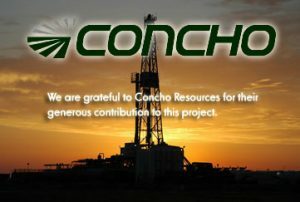 The first book-length environmental history of the Pecos River has just been released. 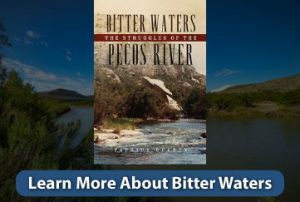 “Bitter Waters: The Struggles of the Pecos River” by Patrick Dearen culminates six years of research and writing sponsored by Pecos River Resolution Corp. The publisher is the University of Oklahoma Press. 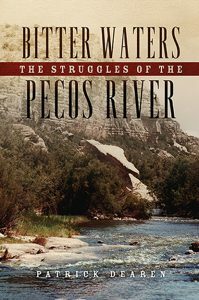 “Bitter Waters” examines man’s progressive impact on the Pecos throughout the 926 miles from its New Mexico headwaters to its confluence with the Rio Grande on the Texas-Mexico border. It also explores the river’s many problems and the potential for solutions. 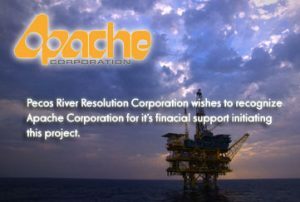 Pecos River Resolution Corp. was chartered in 2007 for the purpose of creating an environmental history of the Pecos River, documenting its issues and exploring possible alleviation methods. Dearen is the author of 22 other books, including several on the Pecos River. A resident of Midland, Texas, he was the 2015 winner of the prestigious Spur Award of Western Writers of America.